One of Diane Arbus’ most famous photographs shows a young boy in Central Park gripping a toy hand grenade and contorting his face with an absurd expression of pent up anger, his available hand clenched into a severe claw. Arbus was famous for embracing the absurd in a way that seemed to peel away American identity to reveal the uncomfortable substance underneath. That photo was taken in 1962. 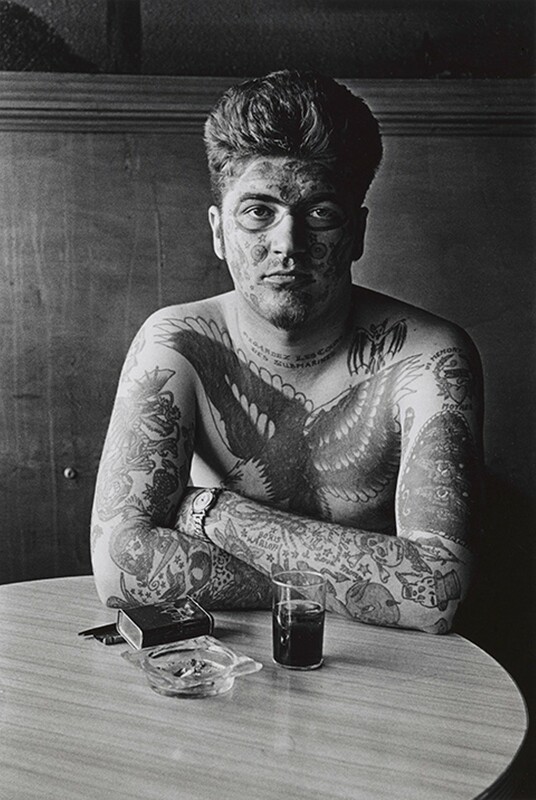 But diane arbus: in the beginning, which shows at the San Francisco Museum of Modern Art from January 21 through April 30, hones in on the seven years before that. Starting in 1956, the collection of over one hundred photographs focuses on the formation of Arbus’ career, when her aesthetic was still coming into focus. The early grouping offers a window into Arbus’ creative evolution before she settled on the subject matter than she would come to be known, criticized, and imitated for.